The Future of Critical Illness – Reasons to be Cheerful? What is more important low cost or value- added benefits? Rhys Williams from Quietroom was a popular speaker at the Protection Review Conference 2017. In this article, he talks about how we can grow protection sales by making the language we use simpler. 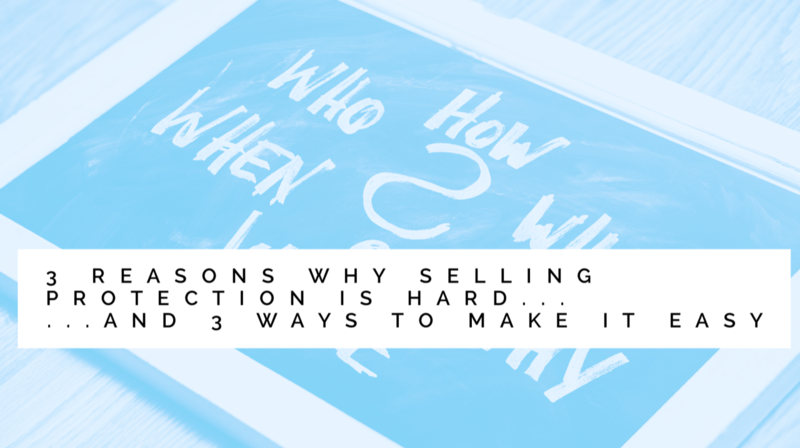 Let me give you three reasons why selling protection is hard. They’re fine when it comes to the basic premise of money. You either have enough for a sandwich or you don’t. Their heads start to spin when we start trading in long-term promises, like an income when you stop working, or a lump sum when you develop Systemic Lupus Erythematosus. Suddenly, what we’re selling is intangible, when people prefer things they can touch. It’s jam tomorrow when people prefer jam now. It’s hard to understand when people want choices that are simpler. And it’s hard to love when people would rather deal with companies they trust. A gulf opens up between what industry insiders know and what customers know. This makes it hard for us to relate to each other. Andrew Haldane, Chief Economist of the Bank of England, calls this the ‘Great Divide’ between ‘the vocal minority who sell financial services and the silent majority who buy.’ I call it the communications canyon*. Again, they’re fine with the basic premise. You either have a boil on your bottom or you don’t. But again, they struggle when it gets complicated. The Royal College of GPs did an interesting study on this. It found that people retain only half of what they’re told by doctors, and only half of what they retain is correct. When medical information is written down in a leaflet or on a sign, only 43% of adults can understand it. The report describes a man who was sent for a chest X-ray but ended up going home because the sign said ‘radiology’. What’s the implication for us? Well, if we’re chucking a lot of medical terms around, we might be losing people. I’m not talking about biplasmic intercranial polydipulitis – mainly because that’s an illness I’ve just made up. I’m talking about relatively basic terms like cholesterol, angina or haemorrhage, terms that seem self-explanatory to people in the know, but trip everyone else up. In 2016, the OECD ranked us worst in the developed world. Lower than Korea. Lower than Estonia. Leaving aside the fact that this is a national scandal, let’s focus on the business challenge for a second. The average reading age in the UK is 9. That means the average person has reached the reading ability expected of a 9-year-old. Analysis from the Joseph Rowntree Foundation revealed that over a quarter of adults have literacy levels so low that they may struggle to read a bus timetable or a wage slip. Can we afford to exclude 25% of our target market every time we communicate? I recently pumped a sentence from a protection insurer’s terms and conditions into an online readability checker. This website gives your text a grade level, based on the American education system. The insurance text came out as grade level 36. The system only goes up to 12. Haldane’s Great Divide is looking pretty impassable – though, on the upside, it’s my tip for Best Picture at next year’s Oscars. That’s enough about why our job is hard. How do we make it easy? By writing how we speak. The best companies are doing it already. Quietroom worked with UnderwriteMe on a new question set for life, CI and IP. They did all the hard work; we just added some finishing touches. When you stripped out essential medical terminology, their new questions hit the magic target – they were readable by the average adult. That sounds like the minimum requirement, but theirs was the only one out of 23 applications we reviewed that did. Don’t ask ‘What is the exact nature of the occupation from which you receive your earnings?’ when you could ask ‘What is your job?’. It’s not just about making sure your reader understands you. It’s also about making sure you sound like you actually come from this planet. That sentence I inputted into the readability checker was 102 words long. That puts it in the running for the longest recorded sentence in human history. You can’t read it out loud without your lips turning blue. You can’t read it in your head without hating the person who wrote it and everything they stand for. Combine complex subject matter with complex sentence structure and you have come up with the perfect deterrent to stop anyone ever buying anything from you. When your subject’s complex, make your sentences short. Try it. It works. The longest form we reviewed was 11,595 words long. That’s longer than Einstein’s General Theory of Relativity, generally recognised to be the pinnacle of human achievement (though whoever said that has obviously never read any papers from the FCA). But it’s a pithy epigram compared to the longest document we reviewed – which at 29,866 words was longer than Hamlet, itself a famously long play. That would take the average reader two and a half hours to get through. In that time, you could go and watch Hamlet and probably have time for a gin and bitter lemon afterwards. Nobody goes to their grave wishing our documents had been longer. Let’s shorten them. Those short words and short sentences will help a lot. Everything else is just cutting. For example, what does the sentence below actually add to the document it came from? Submerged in all these cheap shots and snide pops, I’m making a serious point. There is a very large gap between the protection people should buy and the protection they do buy. There’s an even larger gap between what we know and what our customers know. To close one gap, you need to close the other.